Asphalt Paving Contractor Serving Boston & Norfolk County MA | Driveway Specialists, Inc.
Family run & operated paving contractor since 1988. 3rd generation brother run operation. Every call/inquiry is returned within 24 hours during business days. We give quotes weekdays, weekends & holidays for your convenience. Every estimate is giving by the most experienced people: the owners . Every estimate is explained in detail and not left on a email/proposal for you to figure out. We will give you ideas and options and help you with the whole design process if needed. Every job is paved by the people with the most experience: the owners. Unlike our competitors, the owners with the advertised 15+ years experience will be paving your driveway and not just ‘supervising’. We are fully insured & bonded in over 30+ towns & cites throughout Massachusetts. All of our trucks & equipment are owned and not rented, leased or financed which ensures you a very competitive quote. Call today to learn more about the advantages of hiring an asphalt paving contractor like Driveway Specialists or to schedule an estimate. 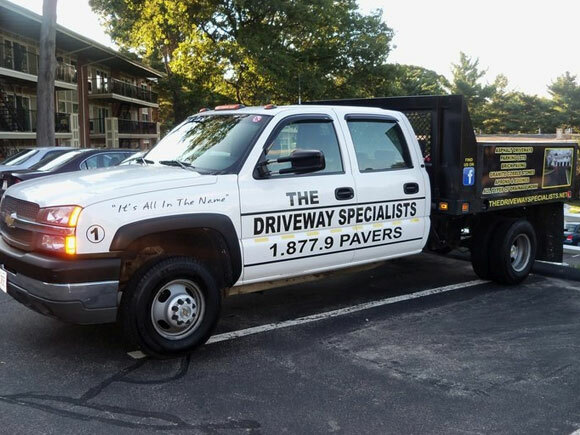 Driveway Specialists, Inc. is the premier asphalt paving contractor for Eastern Massachusetts, taking care of all asphalt paving needs for Driveways and Parking lot’s in Boston; all of Norfolk County including Milton,Dover, Wellesley, Brookline, Needham, Westwood, Medfield and more; and most towns in Middlesex County including Weston, Sherborn, Wayland, Lexington, Concord, Winchester, Sudbury, Newton, and more. Contact us for a free estimate today!